Radar is the most interactive aid to navigation. Using it with competence demands far more expertise than with a GPS unit. 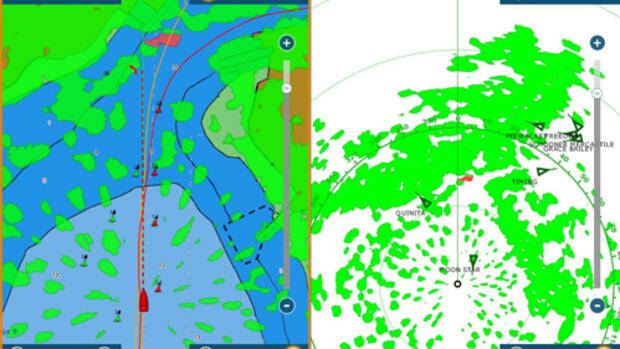 The primary purpose of marine radar is to serve as an aid to collision avoidance. It can increase boaters&apos; safety on the water more than any other electronic device, allowing boaters to "see" through rain, darkness, poor visibility and fog. It can confirm your position relative to landmarks and navigational aids and alert you to other vessels and coastal outlines. However, the ultimate value of radar and all electronic equipment lies with the boater&apos;s ability to understand and properly use the information on the display. Within the last few years the costs of radar units, especially the smaller LCD display units, have been substantially reduced, making it feasible even for small boats to take advantage of radar equipment. A new program teaches boaters&apos; what radar is, how it works and how you can get the most from these important navigators. It teaches boaters how alarms can be set, to alert you that targets are entering a particular location or that your own boat is nearing a dangerous area. Echo trails can help you access the movement of targets relative to your own boat. Radar can also be used to determine your position to back up chart information, electronic aids to navigation and used to navigate to a specific location. The Mariners&apos; Guide to VHF Ship-to-Ship & Ship-to-Shore Communication, a 40-minute video, is available for $34.95 from Bennett Marine Video.